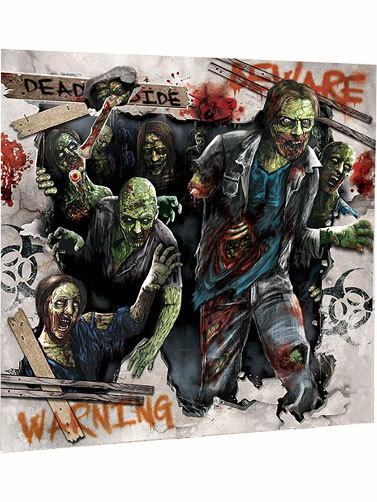 This Scene Setters - Zombie Wall Decor Mega Kit is a great value, and simplifies decorating with a mix of paper and plastic decorations with a creepy zombie theme. 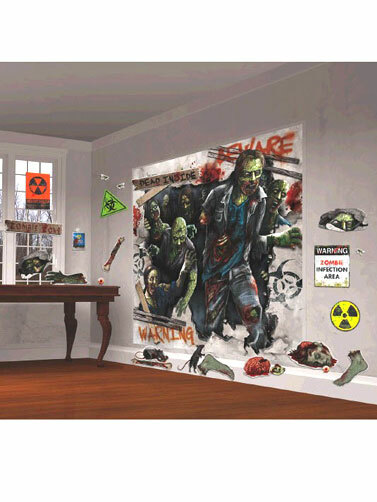 Hang with tape or sticky tack, sold separately. Reusable. 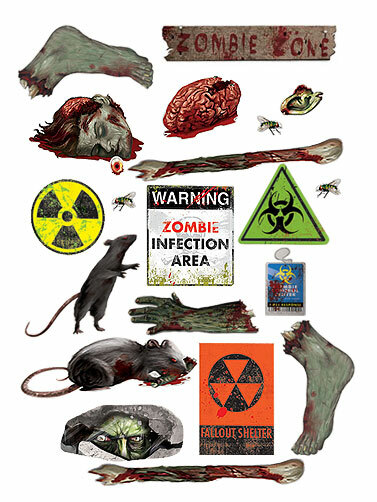 Zombie Wall Decor Mega Kit includes 2 plastic sheet decorations that measures 65"W x 32.5"H, and 30 Paper Cut-outs, printed on both sides that measure 2"W -17"W with assorted images. 32 pc.